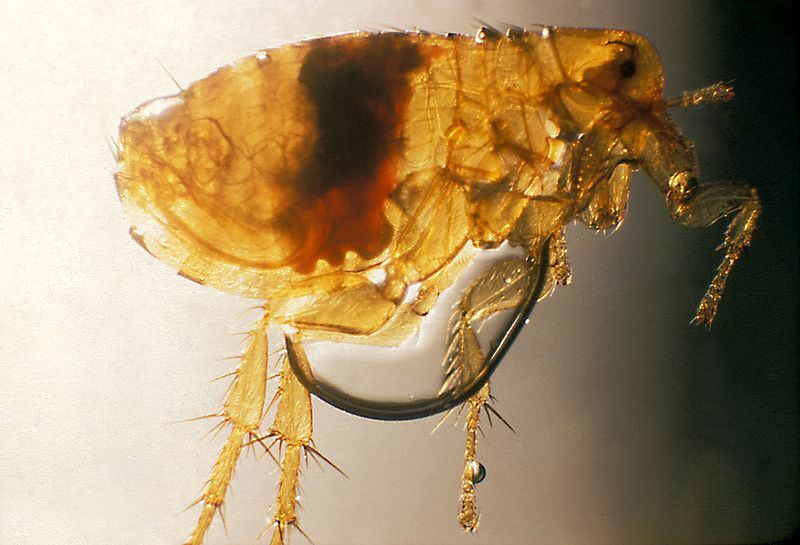 When most people think of fleas, they think of the cat flea (Ctenocephalides felis) and dog flea (Ctenocephalides canis), which are the two most common species here in the U.S. But with over 2,000 species identified, and probably more that haven’t been identified, there are plenty of other varieties out there. The oriental rat flea (Xenopsylla cheopis) is one of the lesser-known species that remains a serious problem in modern-day homes. As its name suggests, this species prefers the blood of rats, mice and other rodents; however, don’t let this fool you into thinking you and your pets are safe from its grasp. While the oriental rat flea prefers to feast on the blood of rats, it will gladly jump at the opportunity to bite a dog, cat or even a human. This is why it’s important for people to familiarize themselves with the characteristics of this lesser-known flea species. The primary characteristic that differentiates the oriental rat flea from other common fleas — including the dog and cat flea — is its lack of genal and pronotal combs. Unfortunately, it’s difficult for the average person to see this without the assistance of a magnifying glass or microscope. For a representation of the oriental rat flea, however, you can check out the photo above. It’s strikingly similar in appearance to the dog and cat flea, but its body is slightly fatter and more compact. Has exceptionally long legs, which is uses to jump onto the bodies of rats and rodents. Like most species, the oriental rat flea has four stages in its life cycle: egg, pupae, larvae and adult. Body is made of three components: head, thorax and abdomen. Extremely resilient and able to survive in cold weather and other non-ideal conditions for up to a year. Warning: Beware of The Oriental Rat Flea! The oriental rat flea is capable of leaving painful, itching red bumps on its hosts, but the real threat posed by these otherwise tiny parasites is their ability to transmit the deadly bubonic plague. We discuss the possibility of fleas transmitting the plague in a previous blog post, but the bottom line is that oriental rat fleas are the most probable culprit for carrying this disease. If you notice one or more oriental rat fleas inside your home, take action immediately to exterminate and prevent them from coming back.